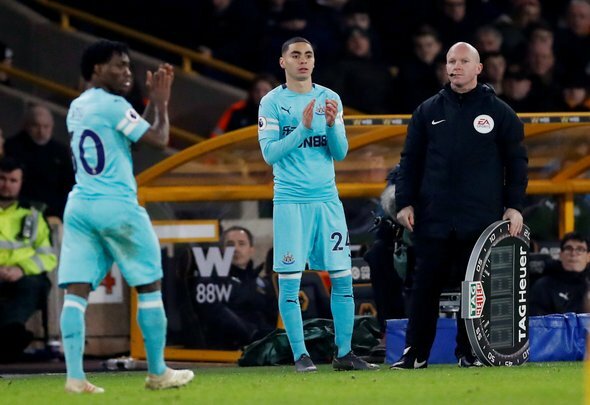 It was the moment that all the Newcastle United fans had been waiting for since January 31st but after nearly two weeks it finally came around – the debut of Miguel Almiron. Plenty has been made of the Paraguayan after his dazzling form for Atlanta United over in America and the MLS but his history matters little. He is in the Premier League now and it seems as though his first 20 minutes of English football left the Toon Army impressed on Twitter, not least with his immense pace. Newcastle had the speedy Christian Atsu on the pitch from the first minute but having replaced the Ghanaian, Almiron showed exactly what he has to offer, driving forward with purpose while chasing down the home side when the Magpies were out of possession. Newcastle fans want to see more of him than just 20 minute cameos but this short showing at Molineux will have helped him get up to speed with the demands of England’s top flight. Judging from the reaction of the supporters, they already like what they see.